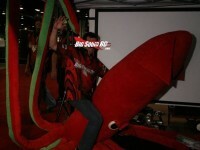 ama supercross « Big Squid RC – RC Car and Truck News, Reviews, Videos, and More! You are browsing the "ama supercross" tag archive. For those of you watching the Monster Energy Supercross on SpeedTV, you have been treated to a new Traxxas commercial, this time featuring a bunch of different Traxxas vehicles including the new Traxxas Rally car! It’s nice to see them update from just the mostly Slash commercials. Want to see more RC On TV? Click the link.